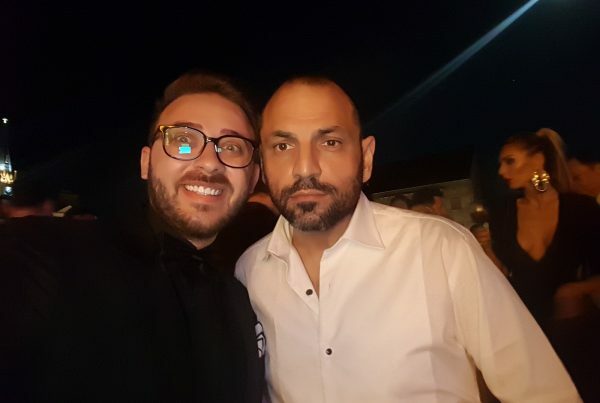 Look, we have come to the last day of Serbia Fashion Week. Just yesterday, I arrived in Novi Sad and now I am already on my way. However, I do not want to leave the beautiful city on the Danube so fast! 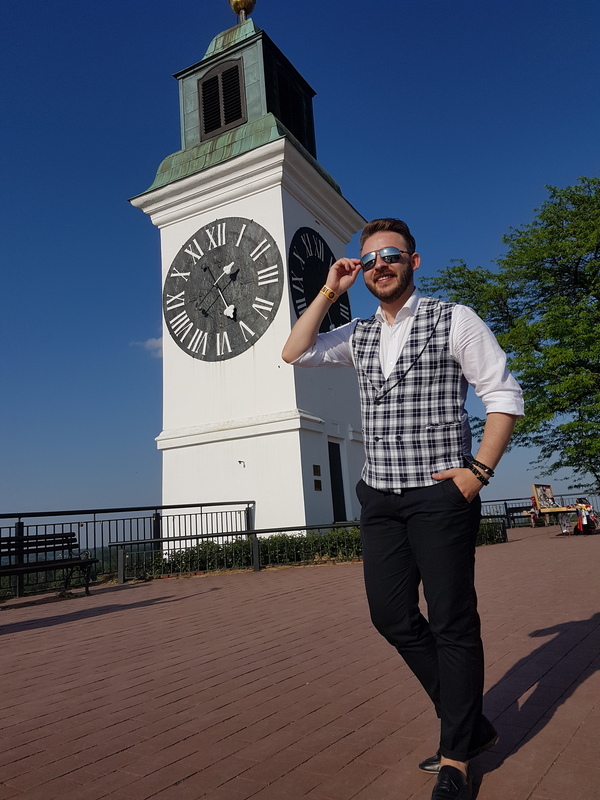 Therefore, I booked the first hours of the day for a photo session at Petrovaradin Fortress and the clock there, which is a symbol of the city. 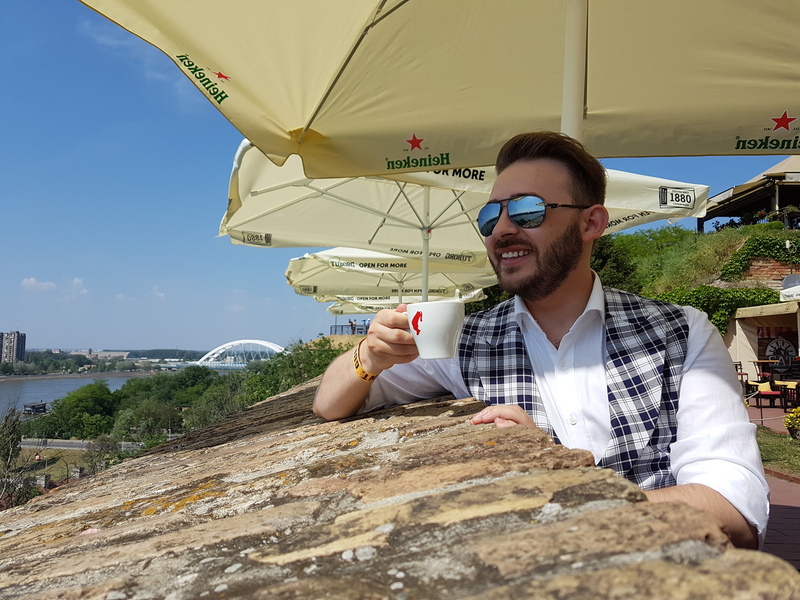 I have not forgotten the coffee with a beautiful sightseeing over Novi Sad, just to have the image imprinted in my mind until next time I come back here. 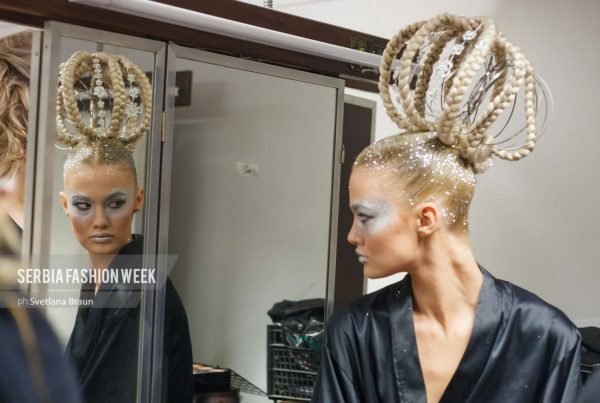 Svetlana Horvat, president of Serbia Fashion Week, wanted the end of this event to be extraordinary and she succeeded. Fifth day events began at the National Theater in Novi Sad with an exhibition of Serbian designers. The exhibition wanted to illustrate the importance and timeliness of Serbian culture and to preserve national heritage. The closing ceremony of the tenth edition of Serbia Fashion Week began with an impressive artistic moment supported by Tijana Bogicevic. She wore a dress on the full height of the scene on which various lights were projected. I must confess that I am a lucky person! Why? Because I was glad to be one of those who saw the iconic haute couture collection signed by Thierry Mugler. Words are too few to describe the feelings I had when I saw those works of art. Then came a message from the Guo Pei House for Serbia Fashion Week’s anniversary edition and then another artistic moment dedicated to Edith Piaf. 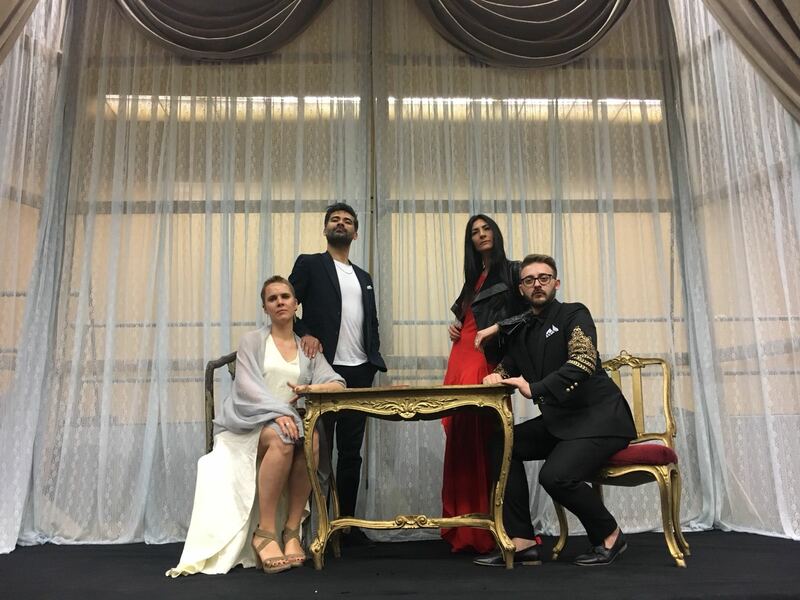 The awards have not been long awaited and Svetlana and Eymeric have awarded the distinctions for the end of the tenth edition of Serbia Fashion Week. The evening ended with a cocktail on the terrace of the National Theater in Novi Sad along with all the guests present at Gala. 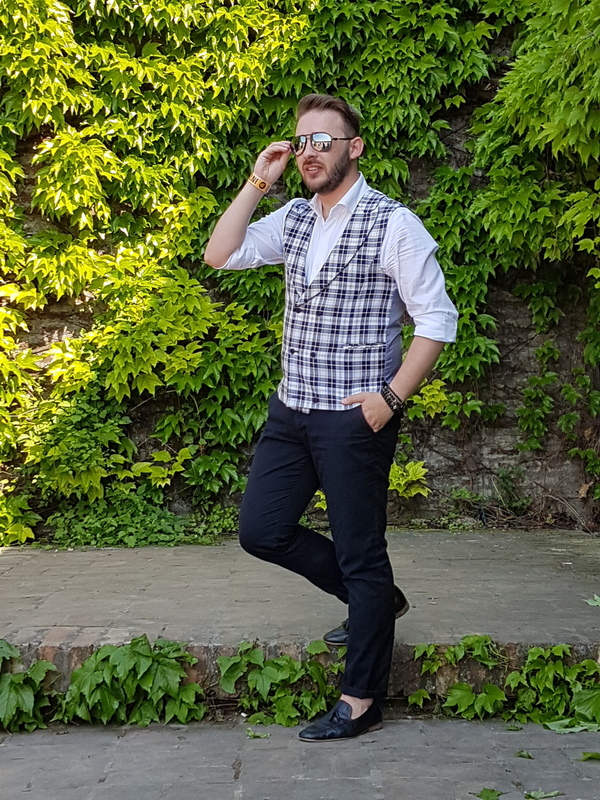 I am glad that another edition of Serbia Fashion Week is well finished and I cannot wait to return to the 11th edition in a few months. 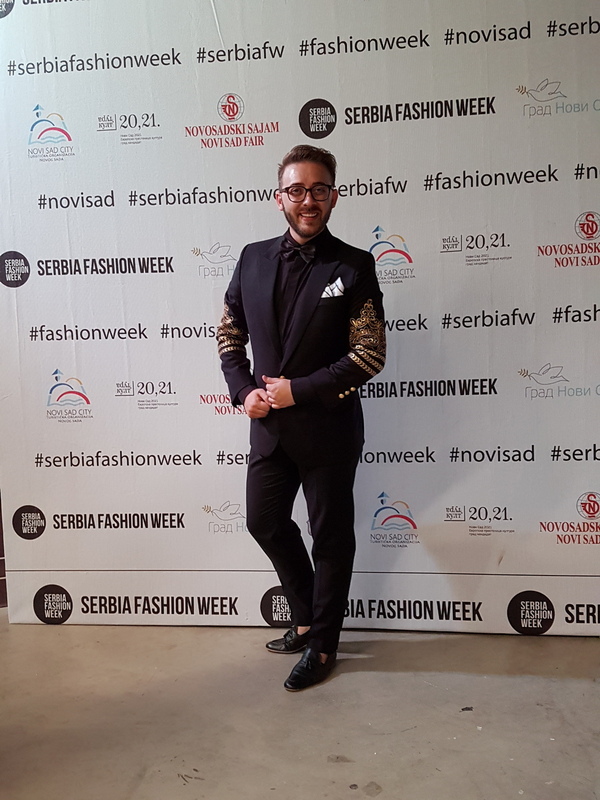 For the Serbia Fashion Week Closing Gala I had a bespoke suit signed by Zesso. 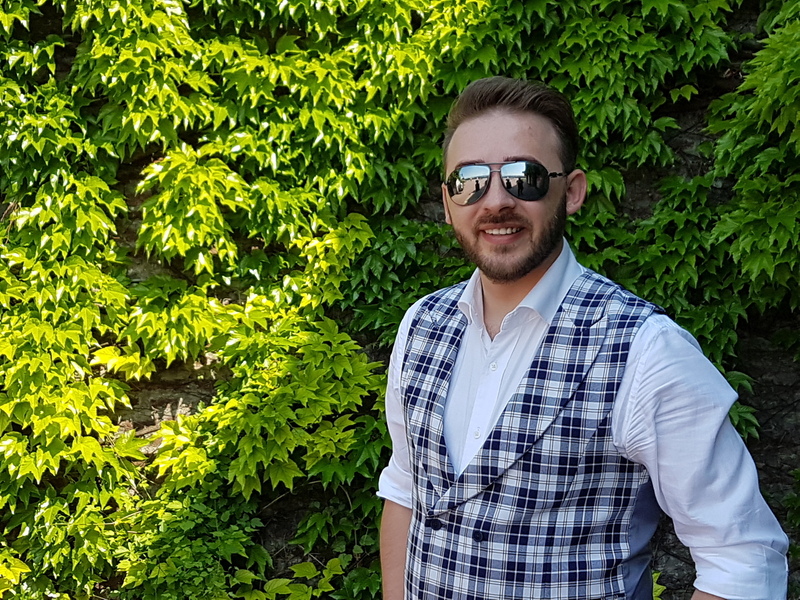 All the atmosphere of the last day as well as Thierry Mugler’s iconic collection can be seen in the video below. 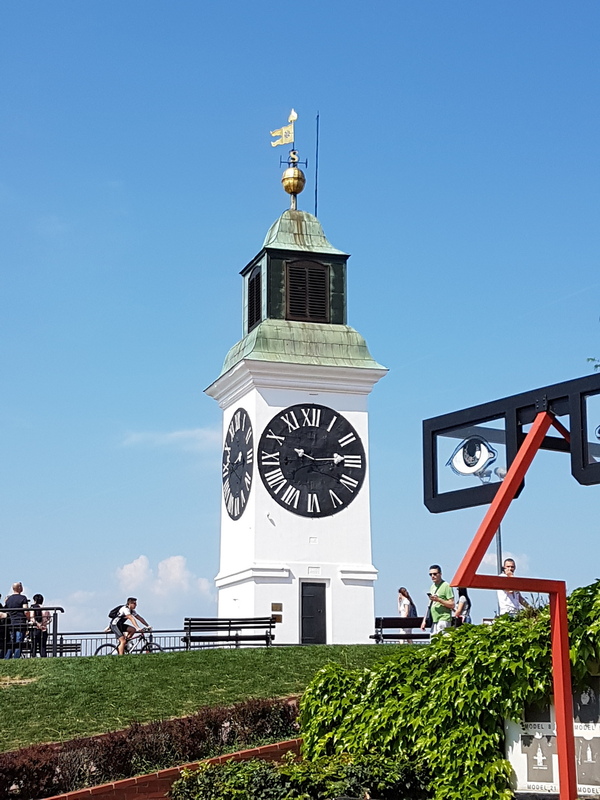 Novi Sad, I will see you again in a few months!